The first thing you may notice in the title is God's World. I love that this is a Christ centered book, giving glory to the Creator for His World! 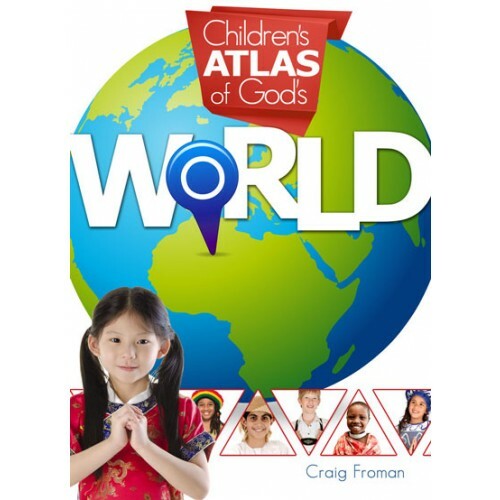 The Atlas is grouped into Continents, including a map of the continent and where each country is located. It lists each country on the first page of the map. There are in addition, several physical maps of some of the individual countries with special areas referenced and more information given on the specific country. You can read about the country's flag, capitals, government system, animals, foods, currency as well as seeing historical landmarks. This book is an excellent resource for any homeschool family! We are going to be traveling the globe this year in our school, and the atlas will be such a fantastic addition. No need to find maps online, or try to print them out. We will be able to add to our study with the additional information given on each country as well. The atlas is great for all ages. My teens were even drawn to it and looking over the different landforms within the countries. Real life photographs of what the children in the specific country may look like, including their native dress help my young ones to realize that there are kids around the world just like them! Be sure to join us for a Book and a Treat Facebook party when we discuss this great book!